Host your event at the Community Center! The Tillman’s Corner Community Center is a great location for you to host a Meeting, Wedding, Wedding Reception, Family/Class Reunion, Dance, Birthday Party, Bridal/Baby Shower, Banquets, etc. We have rooms that will accommodate from 10-300 participants. 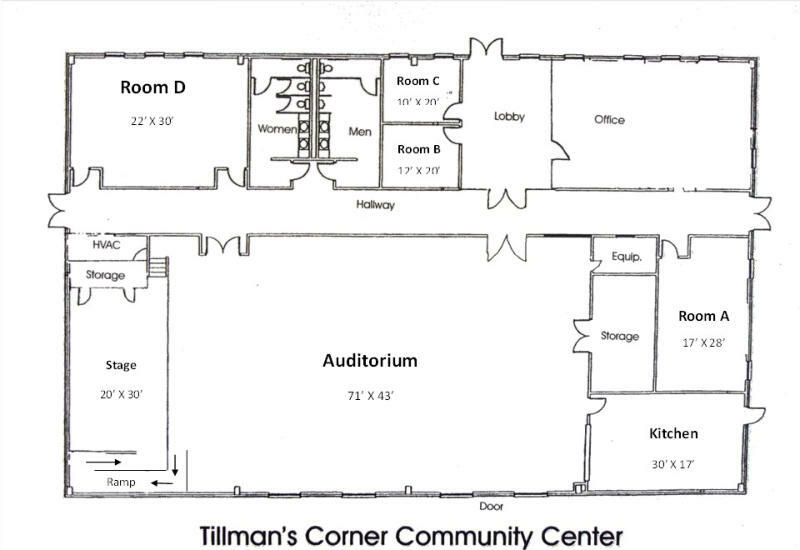 The auditorium or main area of the Community Center includes a stage and a commercial kitchen. The stage is 30 feet wide and 20 feet deep with steps on one side and a ramp on the other. The main floor area is 43 feet wide and 71 feet long with an approximate 12 foot ceiling height. We also have long and round tables upon availability and upward of 350 chairs to use. The Commercial kitchen includes a large freezer, refrigerator, gas stove and oven, gas convection oven, electric cooktop and oven, flat top grill, ice machine, dishwasher and two cleanup sink areas. Room A is available for small groups of 5-30 people. The room is 17’x38’ and is perfect for small get togethers, meetings and other types of events. Room D is suitable for groups of 20-45. It can be used for training, birthday parties, baby showers and other type events. The room is 22x30 feet and has entrances at both ends of the room with convenient access to the outside for outdoor activities such as grilling. Our rates are very affordable and we strive to work with our customers to ensure they have an enjoyable experience when using the facility. A deposit is required in order to reserve/rent a room and rent payments are due as indicated in the contract agreement - printable rate sheet. We are a leave it as you found it facility, so as long as you have your event and you leave it as you found it, your deposit will be returned within 14 days after your event. Our normal business hours are 9-5, Monday through Friday. Come by and visit our facility. We would appreciate the opportunity to show you around. 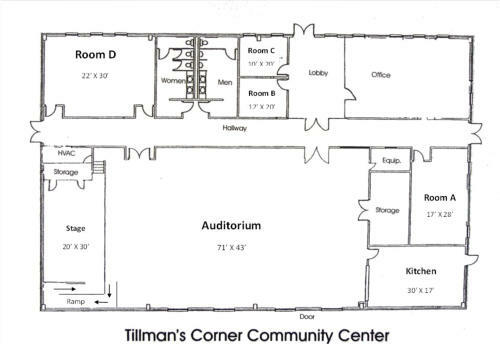 Once you visit us and consider our rates, we are sure you will consider the Tillman’s Corner Community Center as the place to have your event. 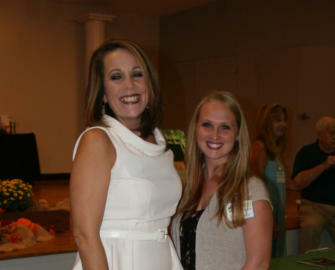 Community Center Executive Director Tina Poiroux and Ashley Rester, Rental Specialist.